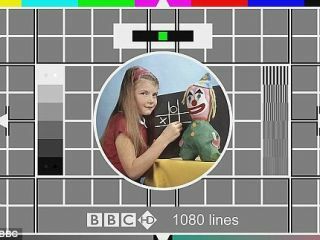 The BBC has brought back the test card as it looks to aid the digital switchover rolling out across Britain. The iconic clown and eight-year-old girl card is being drafted back into active service, as an aid to those viewers retuning their sets for after the digital switch. The old image, first broadcast on 2 July 1967 and featuring Carole Hersee, has been remade in high definition, and will add to its 70,000 hours of screen time until 2012, when the final switchover is completed. Andy Quested of the BBC said: "The HD version uses the very famous picture of Carole, rescanned in high definition and added to an HD version of the widescreen test card. "I hope we can all celebrate its reappearance after many years." Hersee's father George was the BBC Engineer who designed the card; she is now a 49-year-old mother of two.